Chris Pratt and Bryce Dallas Howard Help Jimmy Celebrate an Entire Week of "Jurassic World: Fallen Kingdom" on "The Tonight Show"
Starting on Monday, June 11, The Tonight Show set will be transformed into Jurassic World: "Fallon" Kingdom for a weeklong series of fun Jurassic World-themed comedy skits and surprises, culminating with appearances by Chris Pratt appearing on Thursday, followed by Bryce Dallas Howard on Friday's show. 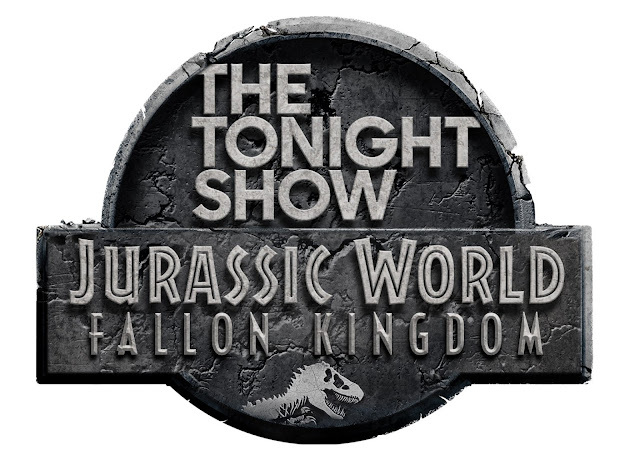 ⏩ The Tonight Show Starring Jimmy Fallon and Universal Pictures today announced that next week will be the inaugural Jurassic World: "Fallon" Kingdom on The Tonight Show. 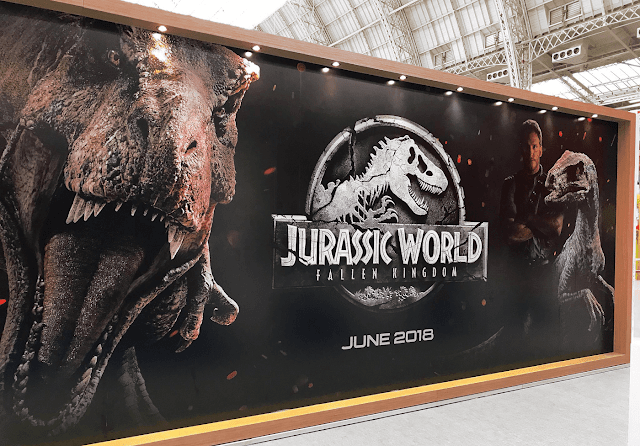 With a week-long series of events to celebrate all things Jurassic, Jimmy welcomes to the show guests including the film's stars, Chris Pratt and Bryce Dallas Howard. The stars will be on hand to guide Jimmy through the perils of shooting on Isla Nublar and the difficultly of working with the T. rex on set. Pratt's appearance will also see him square off with Jimmy in a head-to-head battle of the beloved game Box of Lies. ⏩ Don't miss Jurassic World: "Fallon" Kingdom, on air starting next Monday at 11:35 p.m. EDT/10:35 p.m. CDT. When the island's dormant volcano begins roaring to life, Owen (Chris Pratt) and Claire (Bryce Dallas Howard) mount a campaign to rescue the remaining dinosaurs from this extinction-level event. 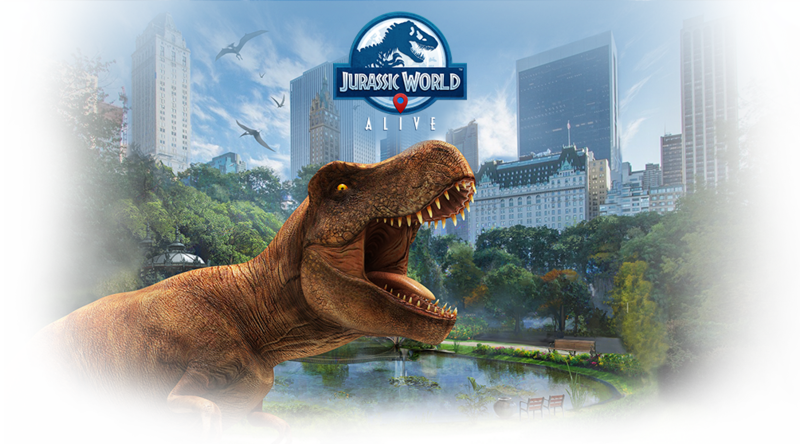 With all of the wonder, adventure and thrills synonymous with one of the most popular and successful series in cinema history, this all-new motion-picture event sees the return of favorite characters and dinosaurs—along with new breeds more awe-inspiring and terrifying than ever before. "Welcome to Jurassic World: Fallen Kingdom." Stars Pratt and Howard return alongside executive producers Steven Spielberg and Colin Trevorrow for Jurassic World: Fallen Kingdom. They are joined by co-stars James Cromwell, Ted Levine, Justice Smith, Geraldine Chaplin, Daniella Pineda, Toby Jones, Rafe Spall and Isabella Sermon, while BD Wong and Jeff Goldblum reprise their roles. Directed by J.A. Bayona (The Impossible), the epic action-adventure is written by Jurassic World's director, Trevorrow, and its co-writer, Derek Connolly. Producers Frank Marshall and Pat Crowley once again partner with Spielberg and Trevorrow in leading the filmmakers for this stunning installment. Belén Atienza joins the team as a producer. As of Feb. 17, 2014, The Tonight Show returned to its New York origins as The Tonight Show Starring Jimmy Fallon made its broadcast debut from Studio 6B in Rockefeller Center. Emmy Award- and Grammy Award-winning comedian Jimmy Fallon brings a high-tempo energy to the storied NBC franchise with his welcoming interview style, love of audience participation, spot-on impersonations and innovative sketches. The critically praised Grammy-winning group The Roots serve as the house band. From Universal Television and Broadway Video, The Tonight Show Starring Jimmy Fallon is executive produced by Lorne Michaels. Producers include Gerard Bradford, Mike DiCenzo and Katie Hockmeyer. Jamie Granet-Bederman produces. The show tapes before a live studio audience from Studio 6B in 30 Rockefeller Center.